Meta Tags are most important and most useful for our blog. Search engines manage our site with the help of meta tags. We make our blog description, keywords and many other things with the help of meta tags. Meta tags are very easy to put in blog. 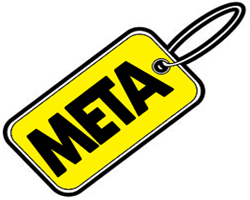 Meta tags help you to increase your blog traffic and let the visitors know about your blog. Before adding meta tags. my blog is not enough popular and very few visits are shown but after optimizing, my blog is very popular and search engines know much more about my blog. I advice you to add meta tags to your blog so that your blog will much popular and your site ranking will increase day by day. 3. After it paste the following code. 4. Change blue color text according to your wish. 5. Now your blog has optimized and search engines will ready to catch your blog. That is informative. I like yours blog very much. Always share useful articles. I study about web designing these days. Because article most useful me. Thanks for sharing, so many blogger users just assume that by entering the description within the dashboard it is enough to tell the engines about their blog, when in fact the robots are designed to read meta more effectively. thank you for this important post. for begginers like me it is very use ful post. once again thank you. Well, meta tags are really useful for SEO. Thanks for posting this article. Error parsing XML, line 6, column 231: Element type "meta" must be followed by either attribute specifications, ">" or "/>"
And after following the instructions, the description is coming on top of my blog, please help me. The overall consensus among search engine optimization specialists is the fact that SEO Meta Tags are not alive. is it usable now ?? I use this service and I like this service my site trrafic 100% increase TLD Backlinks this is 100% manuall and powerfull dofollow work only 5$. Thanks to share very good informative and most important post. Best blog for latest updated softwares and tricks. This thing is Very well examined and well presented. And thank you for all. Good To See Your Post. "Its All About Software, Looking To Download Free Latest & Registered Software And Games For Your PC Visit 'Aholic Software' Today"
Create free customized meta tags with Free Meta Tag Generator thank you so much this information !! Great work you have done at your blog to make it so nice and informative. Original content with good points is very important. The content must be useful for the readers and keep them engaged. If it is a professional website or a static page website then add keywords in the content. Find more discussion regarding Content SEO at our Question and Answer Website. Website optimization is short for Search Engine Optimization Services , and there is nothing truly magical about it. That is informative. I like yours blog very much. Always share useful articles. Thanks..It was a very informative and well elaborated, which will be very helpful for me. Meta tags is like a showcase of our website. By the help of digital marketing we can promote our product and service. PPC services in hyderabad which is providing good services to there client.